Fuji Q5 Platinum is the best HVLP paint sprayer from Fuji. It’s 5 fan turbine produces 9.5 PSI pressure achieving fine atomization for an outstanding finishing. The extra pressure allows you to use viscous paint with less thinning. This article will give you some insight into the product – benefits, features, and flaws. This review of the Q Platinum Series of paint sprayers will help you decide if this product is suitable for your next painting project. This series of sprayer systems are perfect for fine-finishing of cabinets, furniture, as well as medium to heavy painting projects. The manufacturer has excellent customer and after sales service. Note: The main difference between the Q Platinum series and the Mini-Mite series is that “Q” is very quiet. Read more about it below. Min/Max Fan Pattern: 1 – 15 inches from 8 inches distance. The Q Platinum series offers 3 models of the sprayer system: Q5, Q4 and Q3, the number corresponds to the number of fans the turbine has. The Q5 is the top of the line sprayer system from Fuji. The other two models are Q4 and Q3. While most of the features of the three models are very similar, there are a few differences. The Q5 system comes with a variable speed control dial. It lets you adjust the PSI (pressure) by adjusting the motor speed, for optimum adjustment needed to perfectly atomize your coating for the finish you desire. This is achieved while reducing the overspray to an absolute minimum. The 5 stage motor of the Q5 model produces 9.5 PSI for finer atomization and greater finish. The Q4 model produces 9 PSI and Q3 produces 6.5 PSI of pressure. The more pressure (PSI) you have the less you have to thin out your product. The higher the pressure the more viscous materials can be sprayed with it. Note: Systems with less than 10 PSI pressure are considered HVLP (High Volume Low Pressure) system. The number “5” in the name “Fuji Q5 Platinum” stands for the number of fans the sprayer system motor has. So Q3 has three motor fans and the Q4 has four. A system with more fans costs more. Besides the price tag, what does more fan mean to you? First off, more fans mean more pressure, as mentioned earlier. The 3 stage motor spins faster than the 4 stage motor and the 4 stage motor spins faster than 5 stage and so on. Faster spinning means more wear and tear which means more breakdowns and more expense for maintenance. It also means more downtime and potential business loss – loss of income. More fans create more pressure and the speed at which you paint. The Q3 produces 6 PSI, Q4 produces 9 PSI and the Q5 9.5 PSI. At higher PSI the paint is atomized finer for a more professional finish. Besides the above-mentioned differences, there are several common features of the Q Platinum series. The “Platinum” means it is the best product in this category of paint sprayer system from Fuji. The Q-Series™ PLATINUM Turbines use the patented Fuji noise reduction method. Surrounding the turbine motor with soundproof foam would overheat the turbine. The Computer-Designed Airflow Configurations system controls and directs the airflow in and around the turbine. 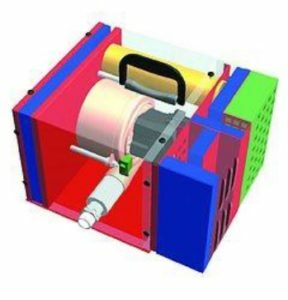 This eliminates the ‘Direct Sound Path’ found on low to mid-priced HVLP Turbine Systems available today. More than 50% of the noise level is reduced using this technology. In fact, the hissing noise of the spray gun is more noticeable than the turbine when the system is operating. The sound level of the Q5 Platinum turbine is only 63 dba at 15ft away from the turbine. In comparison, a normal conversion at 3-5ft is 60 dba. Turbines of the Sprayer System produce a lot of heat and it builds up in the turbine. Fuji Spray has designed a technique that removes the excess heat by channeling it to the Heat Dissipation Box located at the back of the case. Hot air is dissipated evenly through an optimum surface area with 60 holes, there is no added hiss or loud whistling noise. The result is a cooler operating temperature and a longer life for the system compared to other standard systems. The “G” in the model means that the gun is a gravity gun. Siphon fed T70 has a cup capacity of 1 Quart (1000cc) and comes with a 1.3mm Air Cap. 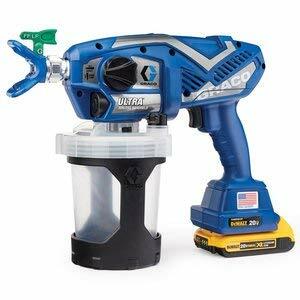 The T75G is a gravity gun with a capacity of 0.63 Quart (600cc) and also comes with a 1.3mm Air Cap. And the GXPC has a capacity of 0.42 Quart (400cc) comes with 1.4mm Air Cap. The T-Model™ delivers an enhanced spray pattern for exceptional performance. The new sleek design is ergonomic and well balanced. The G-XPC, T-Model – T70 and the T-Model™ – T75G non-bleed Gravity Spray Gun features an exclusive side Pattern Control Knob to adjust the Fan Size. The Fan Pattern is adjustable from 1” to 15” from 8” distance. They all come with a 25ft Hi-Flex Hose with Quick-Connect, Air Control Valve, User Manual, Viscosity Cup, Wrench, and Cleaning Brush. The system runs on both 110-120 V and 220-240 V electricity. Paint Types: Most types of paints are supported such as Nitrocellulose lacquers, sealer, cellulose, acrylics, synthetics, polyurethane, stains, varnish, primers, water-based finishes, oil-based paints, urethanes, enamel, latex and many more. 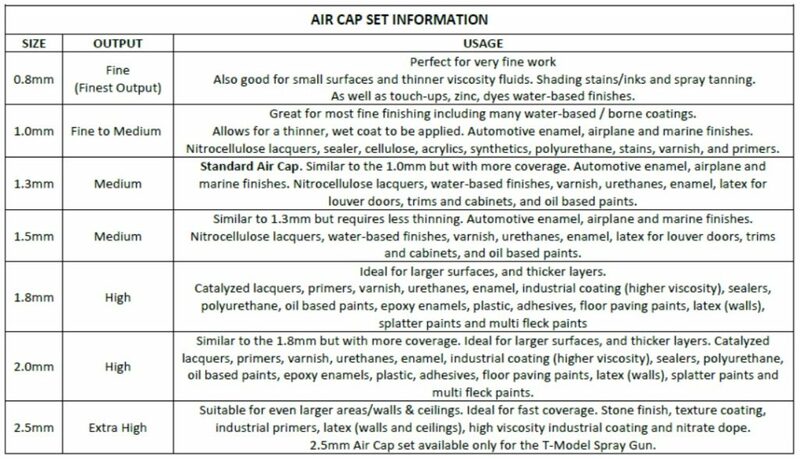 Please refer to the Air Cap Set Information to see which Cap size supports which type of paint. The hosepipe that comes with the system is flexible but a bit rigid when you are going to be doing any inside cabin work. Also comes as part of the package is the Fuji 2049F 6-Foot flexible whip hose. The Whip hose is very lightweight and flexible. It can twist and bend any sharp and difficult corner, making your gun much more maneuverable. It’s made from glass fiber-reinforced polymer. This lightweight material takes the weight off your wrist allowing effortless maneuverability of the spray gun. This additional length of 6 feet along with the provided 25 feet allows for further cooling of the air as it travels a longer distance from the turbine. This often alleviates problems with fast drying lacquers (and Latex House Paint) drying too quickly. 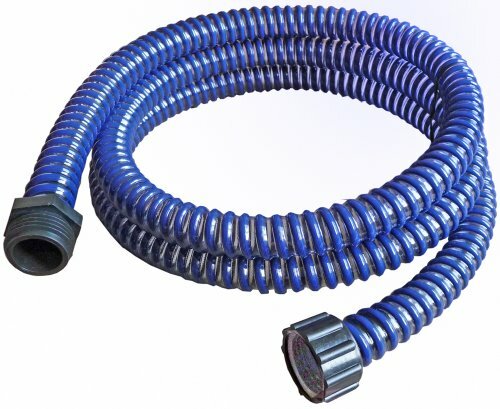 This particular whip hose is also compatible with other HVLP sprayer systems from other brands. Q: Does it come with the 3 guns? Q: Can you paint Autos with this? Ans: It is as noisy as normal conversation, 63 dba 15ft away. Q: It is easy to maintain? Ans: Yes. It requires some amount of maintenance. It is very easy to clean. The provided manual shows how to maintain. Q: Does the system overheat? Ans: No, the Heat Dissipation Box cools the system down. But mind you, the unit gets hot just does not overheat. This system is perfect for both beginners and professionals. This easy to maintain system allows you to apply the finish faster. You spent less time on preparation of the materials. For a professional finish with all known coatings use the Fuji Q Platinum Series of Paint Sprayer System.